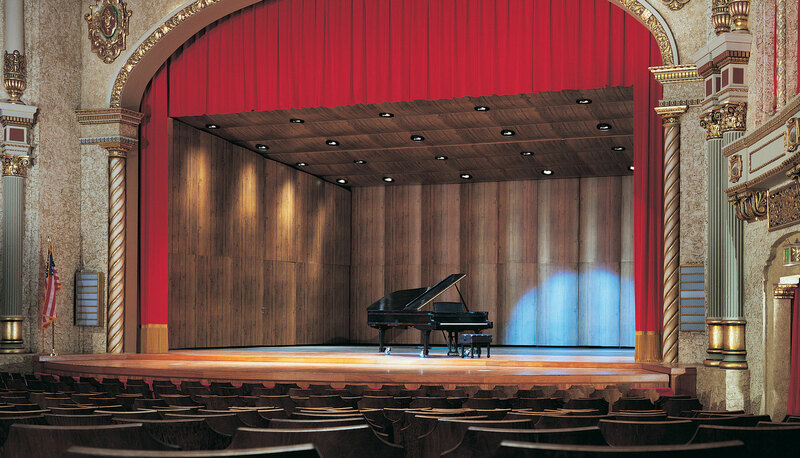 The Maestro® full-stage acoustical shell is a welcome addition to our acoustical product line. 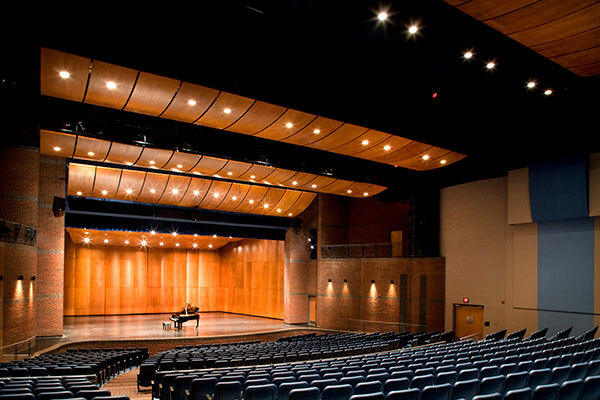 Maestro is a cost-effective solution packed with features, conveniences and performance aesthetics for your venue. The Maestro lives up to its name delivering impressive full-stage acoustics, while creating live entertainment environments for performances at an affordable price. 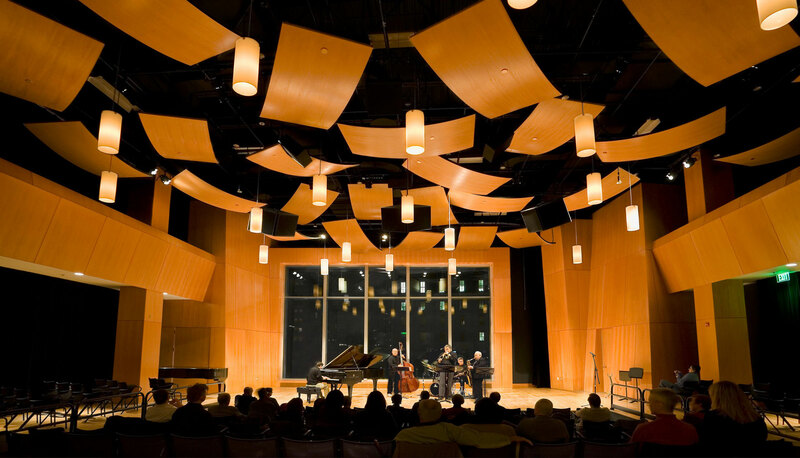 Maestro full-stage acoustical shells are now available with the Wenger Lieto™ fixture. 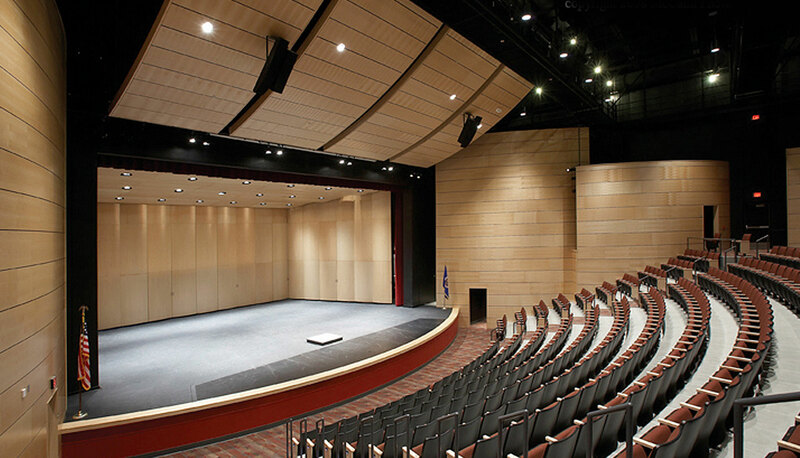 Lieto is the first LED fixture specifically designed for full-stage acoustical shells. Learn more about Lieto. Easy Setup – Maestro is easy to set up with a crew of three people. Flexibility – Easily reconfigure Maestro to accommodate groups of varying sizes. Stability – Wall towers are counterweighted to ensure superior stability and safety. Space-Saving Design – Individual towers nest together when not in use, saving precious back-stage space. 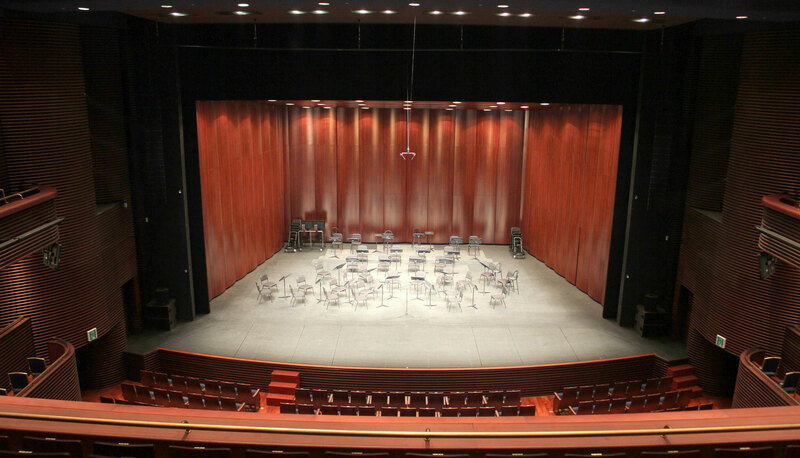 Cost Effective – Maestro is an affordable full-stage shell system for any performance space. Two-Year Warranty – The longest in the industry, protecting your investment. 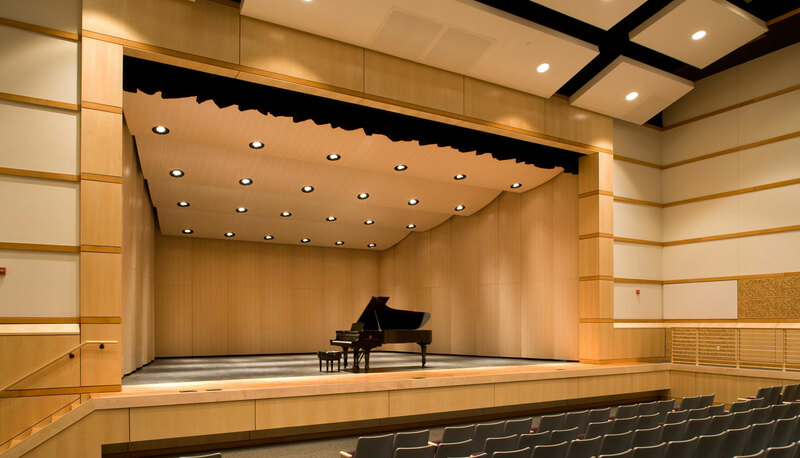 The Maestro® is a cost-effective solution for any performance space requiring an acoustical enhancement. Low Pressure Laminate with black painted aluminum panel edges. Hardwood Veneer stained and finished to match space requirements. Painted panel finish ready for a show. Side towers for stage access for musicians and performers. Shell towers are easily moved into performance position and moved back into storage via the Wenger wheeled tower mover. Mover is designed for easy transport of towers without marring stage floor. Towers nest together to reduce storage space required. Ceiling panels set up with a crew of as few as two people. Ceiling panels with optional integrated light fixtures feature tilt switches making storing the ceilings fool proof. Lighting will not turn on while in storage. Incandescent and LED lighting options available. Ceiling panels store easily in rigging fly loft for storage. Ceiling panels are adjustable in performance position. No tools are required to tilt ceilings. Panels are constructed with black aluminum edging, a rigid honeycomb interior, and a hard panel skin for superior sound quality and durability.